Vizcaya, the winter residence of James Deering (1859–1925), was built between 1914 and 1922 in the Coconut Grove area of Miami. The estate was entirely surrounded by subtropical forest—the Main House and the formal gardens appeared as a dreamlike vision in the midst of the jungle on the shores of Biscayne Bay. At Vizcaya, the reference to the past was coupled with an enthusiastic embrace of technology, modernity and comfort. Regardless of its Baroque appearance, Vizcaya was a very modern house. Both the house’s aesthetic significance and modern efficiency were celebrated in architectural and engineering magazines of the time. 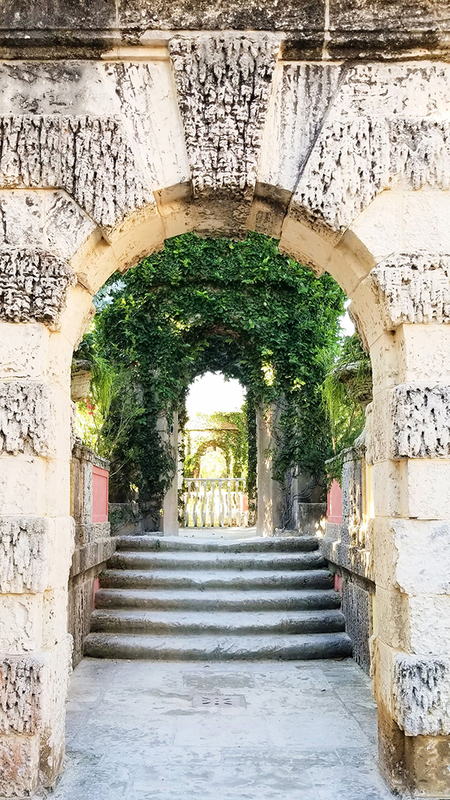 Today, Vizcaya is a National Historic Landmark and accredited museum, an oasis of beauty, serenity and lush landscapes, miraculously preserved just south of Miami’s modern skyline. It has been described as “the finest private house ever built in America,” and “a jewel among Miami’s skyscrapers and subdivisions.” It is currently governed by the Vizcaya Museum and Gardens Trust and remains a public place that all can experience and enjoy thanks to James Deering’s vision and the Deering family’s generosity and commitment to preserving that vision. 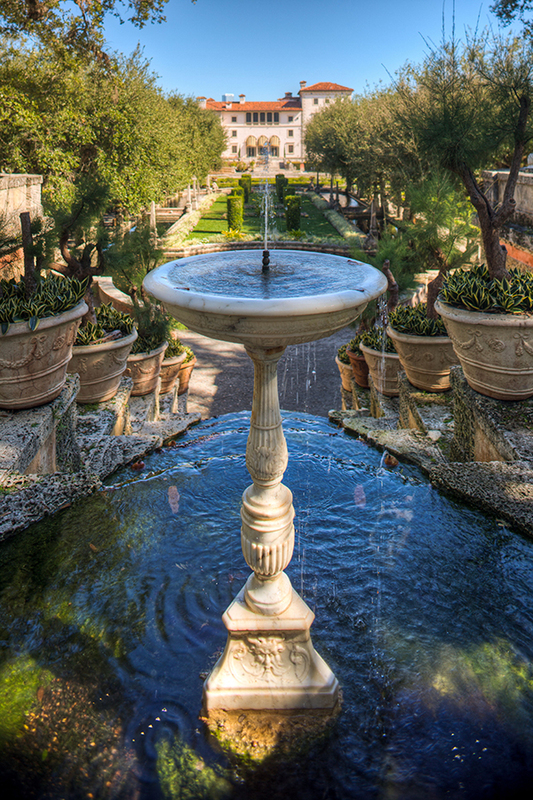 For much more information visit the Vizcaya Museum & Gardens website.